People prefer dual sim Android phones. Many of them prefer to have 2 WhatsApp in one Android phone. Whether you're using a single/dual or multiple sims supported Android phones, you can use multiple WhatsApp accounts in one phone without root. Since WhatsApp is the best Instant Messaging service, every smartphone users would like to use WhatsApp daily. The encrypted service and it's two-step verification features helps to secure your chats, videos, voice, and other files. Rooted Android users will go one step ahead and they choose to install third-party WhatsApp messengers. Some of the apps are WhatsApp Plus, OG WhatsApp and GB WhatsApp. I won't recommend our visitors to use these apps. 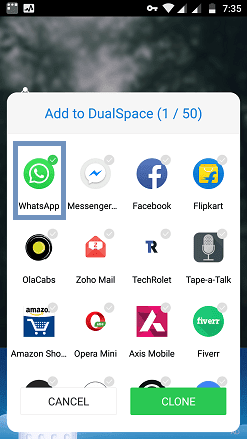 These apps are not the perfect way to have two WhatsApp account on the same phone. The main disadvantage of unofficial apps is that you'll lose your privacy and encryption features. Using these altered version apps are not illegal but WhatsApp may impose temporary or lifetime ban for your mobile number. If you're using unofficial WhatsApp, backup your data > Uninstall the app > Install official WhatsApp from Play Store. In this guide, you'll learn how to login to two WhatsApp accounts in one Android phone. Dual sim Android phone [Recommended]. WhatsApp Business app [Method 1]. DualSpace Android app [Method 2]. Have you heard of WhatsApp Business App? If not, you should try this today. If you want to have a business presence on WhatsApp, this app can help you to communicate with your customers more effectively. If you don't have a business, that's not a problem. You can use both WhatsApp messenger and WhatsApp Business app on the same phone. You need to have a dual sim phone with two numbers. This is the best way to have a second WhatsApp. Both apps can be identified by their icons. The usual WhatsApp messenger has a Green bubble with a Telephone Receiver symbol. 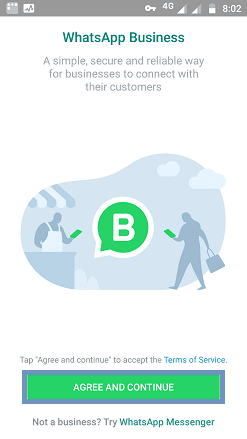 The business version WhatsApp has a Green bubble with the letter B symbol in it. Click here to download the WhatsApp Business app from Play Store. Enter your second phone number. Relax! Start to use multi WhatsApp on your phone. If you're going to register on WhatsApp Business using the number which is already registered with WhatsApp messenger, you need to move the existing number to WhatsApp Business. 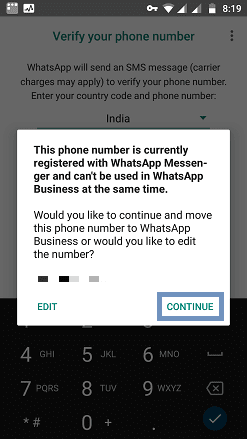 While registering, WhatsApp Business app will ask you to move your existing mobile number. Note: Once the chats have been moved to WhatsApp Business, you can no longer able to restore the chats back to WhatsApp messenger. So, before moving, make a copy of backup and save it to your computer. Later, you can restore your WhatsApp backup. 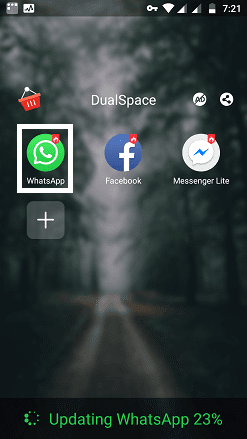 You can Clone WhatsApp using the DualSpace Android app. It creates a parallel space in the phone to run multi WhatsApp. When you use WhatsApp on DualSpace, your chats are encrypted and secured. Therefore, you won't worry about your privacy. Not only WhatsApp, but you can also clone other social media and utility apps. Let's see how to use second WhatsApp on this app. Click here to download DualSpace App from Play Store. 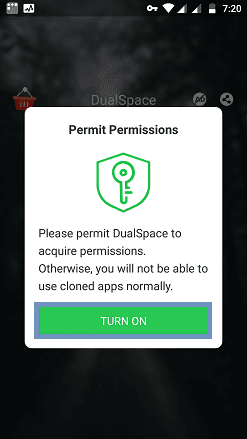 Open the app and permit DualSpace to gain permissions. Allow permissions to access your phone's library if prompted. Tap on + symbol inside the app. Choose WhatsApp from the inside app drawer. It will create a parallel space for WhatsApp. As usual, enter your new phone number and verify. Now, use two WhatsApp accounts simultaneously. The first method is clear and official. The second method is safe to use due to the nature of the app cloning technology. The DualSpace app has a lite version app available in Play Store. There are so many clone apps are there. Some of the best alternatives are 2Face, Parallel Space (includes lite version also), Dual Apps, 2Accounts and much more. 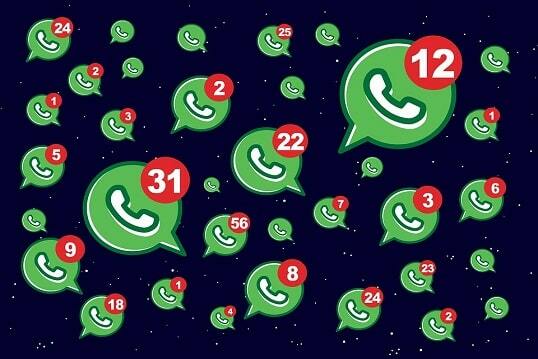 If you're willing to use several clone apps, you'll need to have unique mobile numbers to use multiple WhatsApp accounts. You can use two, three, four, five or many WhatsApp account on one phone. Enjoyed this tutorial? Please share it!